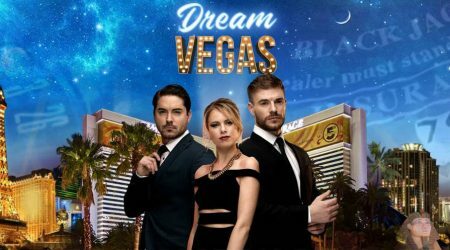 Dream Vegas casino is a brand new site that shot into the limelight in 2018. As you might expect from the name, this casino is all about emulating the excitement, bright lights and thrilling atmosphere of Las Vegas, America's primary gambling city. The casino is operated by White Hat Gaming, which has also seen success with a number of other online casino sites in recent years. Dream Vegas, however, surpasses them, offering a new level of excitement. 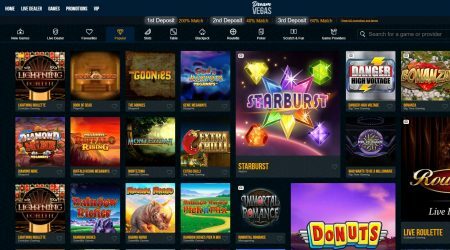 As a starting point, Dream Vegas offers a highly attractive site that not only offers players a small glimpse into the Las Vegas world but is also very easy to navigate and use. Better still, the site is available on desktop and has an optimized mobile version. When playing games on your mobile, you can be certain that you will get the same outstanding quality that you get when playing on a desktop. Dream Vegas is a highly secure site - it is licensed with the UK Gambling Commission and the Malta Gaming Authority, which means that it has to adhere to a number of strict rules and regulations. SSL encryption is found across the site preventing any third party companies from gaining access to personal player data. Finally, the site is also audited regularly to ensure gaming fairness. If a player is having issues, a gambling aware programme is in place to help. All online casinos offer a bonus of some sort or another. In this highly competitive world, this is the only way they can stand out and bring in, and keep, new players. With this in mind, not only does Dream Vegas have a great welcome offer, but there are other bonuses in place for long-term players. The welcome bonus is the biggest prize this casino offers. After players have signed up, they are eligible for a match deposit bonus that is a massive 200% of the initial deposit up to £400. Definitely something to be snapped up. Players must make a minimum deposit of £20 in order to be eligible and bets can only be a maximum of £5 when using the bonus. There are also 50 bonus spins thrown in which can be used on various slot games offered by the casino. All online casinos have wagering requirements in place in accordance with money laundering laws. At Dream Vegas these requirements see players needing to play through their bonus winnings a total of 35x before any winnings made can be withdrawn from their account. Failure to meet these requirements will mean that firstly, players aren’t able to take this money away and, secondly, could result in the initial bonus being removed from the account as well. Bonus spins need to be used within the specified time period. Players that choose to stick around a little longer at the casino will also reap the rewards when they make a second and third deposit. The second deposit pays out 40% up to £3000 and 30 bonus spins, with the third deposit awarding a 60% match up to £1500 and 40 more bonus spins. There are further promotions during the months, and these will change over time. These are in the form of gaining points through depositing to win tickets to enter. Each £20 deposit will earn the player two tickets into the specific event where they can win big prizes such as cars, or simply the cash equivalent. Dream Vegas really makes a name for itself when we look at its game selection. Using some of the biggest software names in the industry – NetEnt, Microgaming, WMS, SG Digital, Elk, Nyx, and Rabcat – the site is able to offer hundreds of games. The slot selection, in particular, is vast with a whole range of popular titles available such as Starburst, Gonzo’s Quest and Guns N’ Roses. There is also a large range of progressive jackpots on offer including Mega Fortune, ready to keep players entertained for days. The virtual game selection is equally as impressive. There are the usual favourites in place – various roulette, blackjack and baccarat options. The fun doesn’t end there, though, as there are a number of scratchcards and other soft games available. These are particularly fun if you need a little break from trying out your strategies on some of the table games. Video poker players are also kept happy with a number of game options available to them, such as Aces and Eights, and Jacks or Better. The final section is live casino games. This section is powered by Evolution Gaming, the undeniable top provider when it comes to this type of game. Various roulette, blackjack and baccarat games are also available here. Players can enjoy perusing the selection to find the rules and table limits that suits them the best. Players can also try out some of the more unusual game options such as Dragon Tiger, Texas Holdem and even Dreamcatcher. There’s also Football Studio if you want to combine sports into the mix. Dream Vegas uses top of the line encryption protocols to protect client data, and this is noticeable when it comes to the payment options available. Nothing but the very best options are used, ensuring that all transactions take place safely and quickly – your money is definitely secure here. Payment options include various card payments, Skrill, Neteller, Trustly, Entropay and paysafecard. Deposits using any of these methods occurs instantly. While the same methods can be employed for withdrawals, transaction times won’t be quite as fast. E-wallets such as Skrill or Neteller will take just two days to complete, whereas Trustly can take up to five. For each of the payment options, there is a minimum of £20, and this includes both for withdrawal and deposit. This must be adhered to. Otherwise, the transaction won’t be completed. Customer support at Dream Vegas is excellent. They offer a 24/7 service which is provided via a live chat function. Being so available really helps to improve an online casino’s reputation as it means that all issues are addressed within minutes. There is also an email option for those less urgent queries, or if player simply prefer this method of communication. Bear in mind this will take longer to be responded to. The site is also available in a range of different languages including English, German, Norwegian and Swedish. As such, the customer support is also available in these languages enabling a wide range of players to enjoy satisfactory support. The only downside is there doesn’t appear to be an FAQ section available on the site which would be useful to new players in particular. Dream Vegas offers a great platform on which to play. The site itself is easy to navigate, offers great functions and an excellent range of games. The welcome bonus is a big one, and it is definitely a major plus that there are additional bonuses and promotions constantly running throughout the site – it’s not just about gaining new players, it’s about keeping them, and ensuring they’re happy as well. 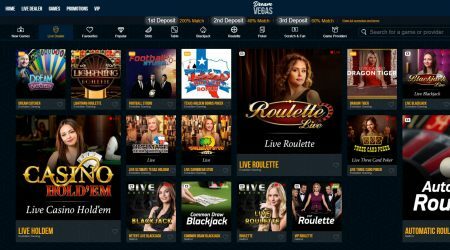 With great customer service, fast and convenient payouts, an optimised mobile platform, and a highly secure website, Dream Vegas truly does tick all the boxes. The lack of a FAQ is a bit of a downside, but with the speed of the customer service, this isn’t the biggest issue. In short, Dream Vegas takes you to that shining city, for a fraction of the price. Who knew you could get to Vegas without having to fly!